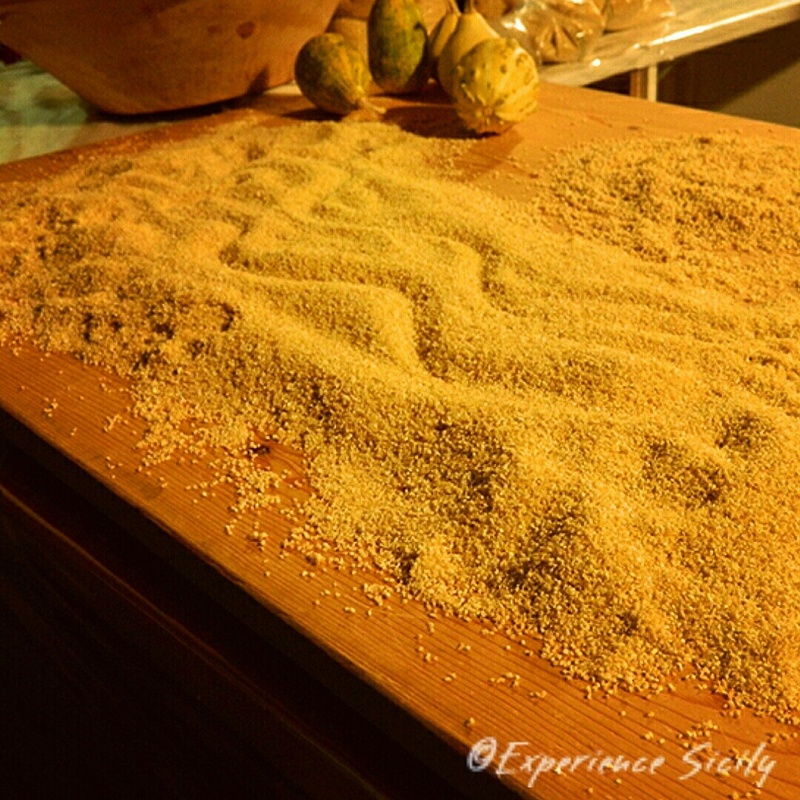 Couscous will take center stage on the evening of Day 2 of our May 2016 Experience Sicily tour. Eolo Seasonal Sicilian Kitchen Chef Melissa Muller will introduce us to her colleague at a Marsala trattoria where we will see a demonstration of how this Sicilian dish (Yes, Sicilian!) is made and then we’ll enjoy it for dinner with fresh-caught seafood and seasonal vegetables (or meat–That’s up to you!) … Oh, and one can’t forget … then there is the Marsala wine varietals we’ll be tasting as well! There’s more to Marsala wine than you think. You’ve really solved a mystery for me…I had no idea that couscous was Sicilian, and and I’ve always wondered why it was such an aperitivo staple!